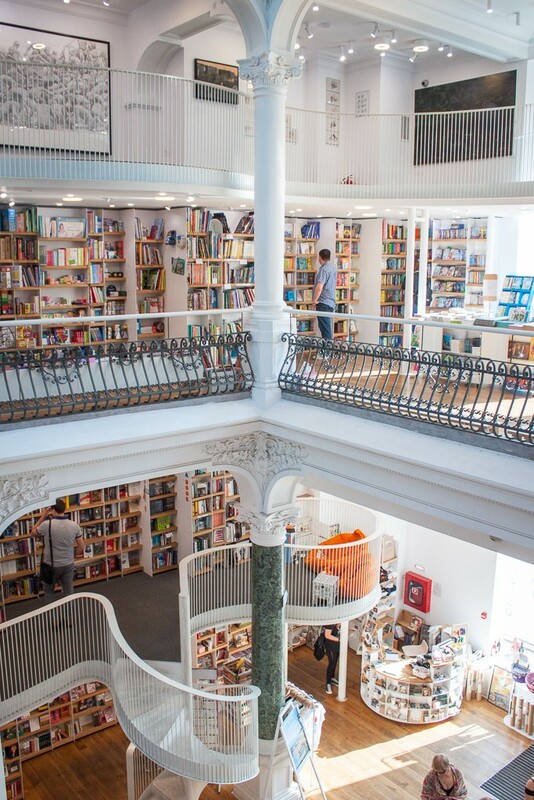 After seeing Cărturești Carusel appear on Instagram feed over and over again, I vowed that one day I’d see this iconic and famous bookstore for myself. So when I headed to Bucharest for one warm weekend last fall (my first time ever in Romania), I made sure it was one of my very first stops. From the outside, it doesn’t look like much but once you enter the building, you can’t help but gasp in delight and smile, as you take in the wonder that is Cărturești Carusel. 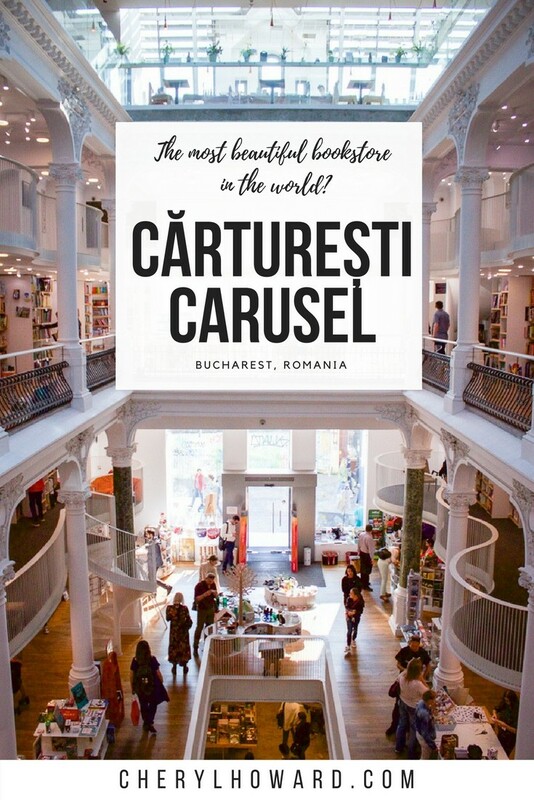 Undoubtedly one of the most beautiful bookstores in the world, Cărturești Carusel opened its doors in 2015 after five years of massive construction. 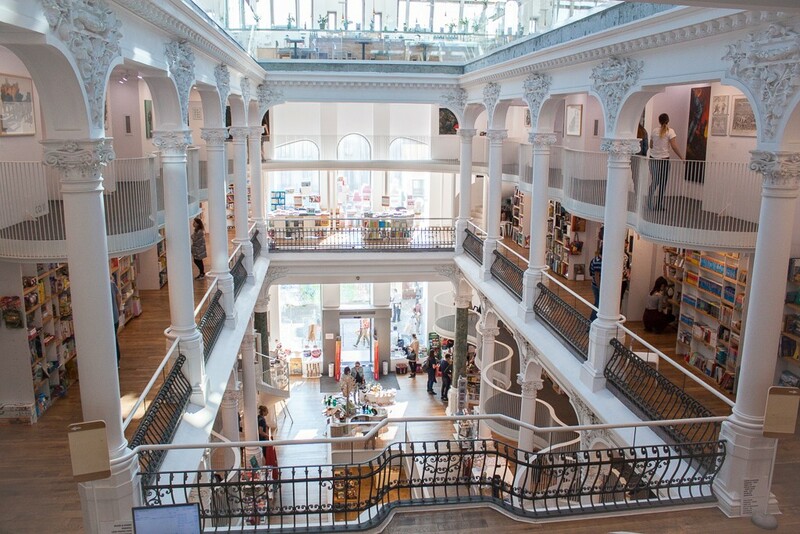 Recommended reading: Find travel inspiration for Bucharest and read this post, 12 things to do in Bucharest in a day. The 19th century building, owned by the Chrissoveloni family, once served as a bank headquarters for about 30 years until it closed it 1948. Later on it was used as a men’s clothing store and then a general store during Communist times. After the collapse of the Communist regime, the building was abandoned and fell into disrepair until it was rescued by Jean Chrissoveloni, the great grandson of the first owner, Nicolas Chrissoveloni. 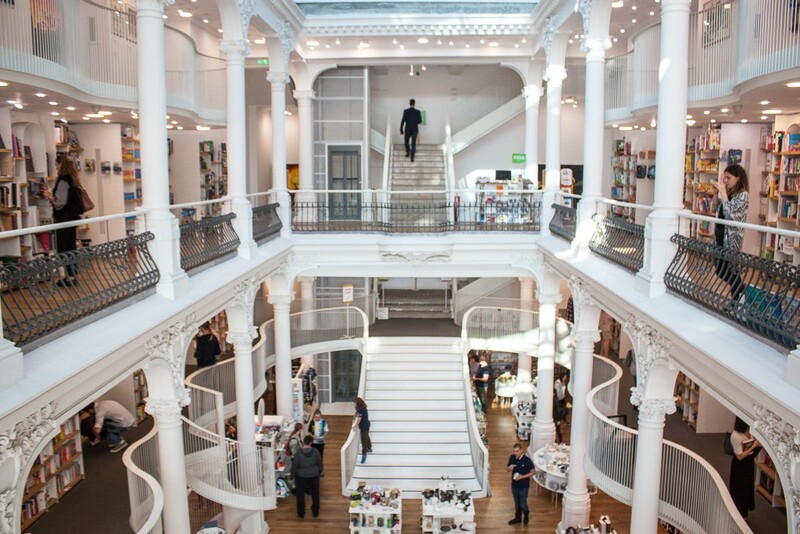 Investing around €1,000,000, he tasked the Romanian architectural firm, Square One to oversee the transformation of the historic building and then leased it the Carturesti chain, Romania’s largest bookshop chain. 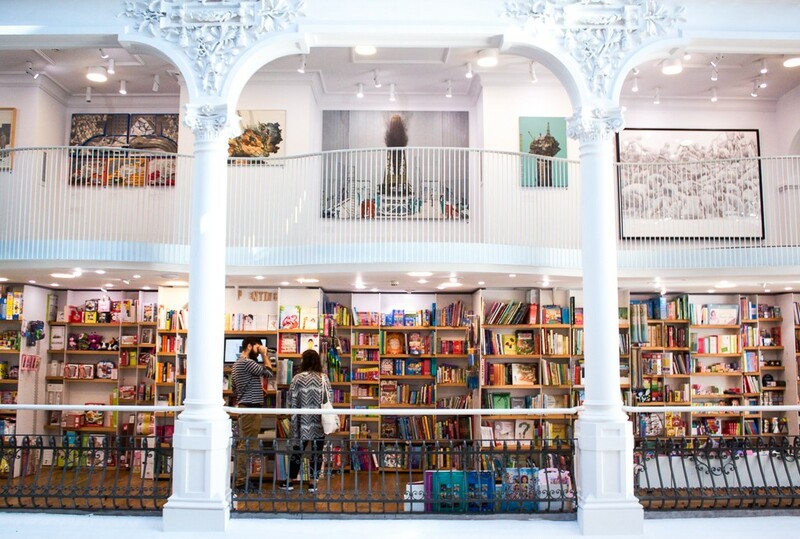 Considered to be Carteresti’s main flagship or concept store, the 1,000 square meter space takes up six floors and is home to more than 10,000 books and 5,000 albums and DVDs. 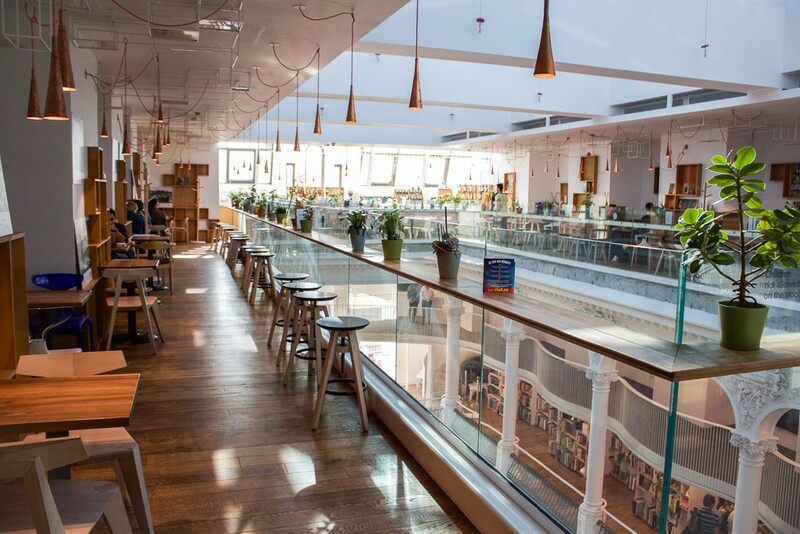 There’s a multimedia area in the basement, an art gallery and exhibition area on the first floor, and a plant filled café and bistro on the top floor that serves up tasty food, coffee, teas, wine, and more. The airy design is carried out through the predominantly white interior, top floor skylight, and warm lighting system which was inspired by that of a starry sky. 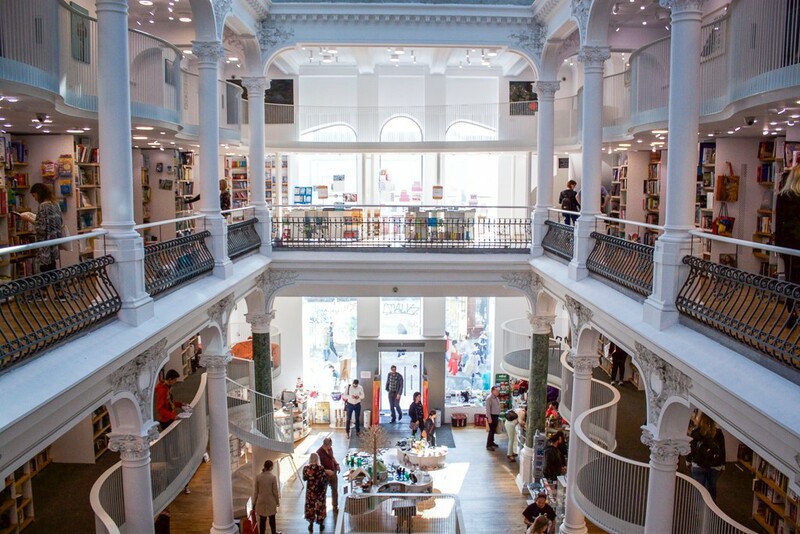 During the building’s restoration, many of its original and classic elements were left intact, with some more notable architectural features being the spiral staircases, Byzantine inspired marble colonnades, and several balconies. The platform railings are even composed of metal rods that are both opaque and transparent, depending on how they’re being viewed. Cărturești Carusel also plays host to various cultural events such as readings, exhibitions, and concerts. 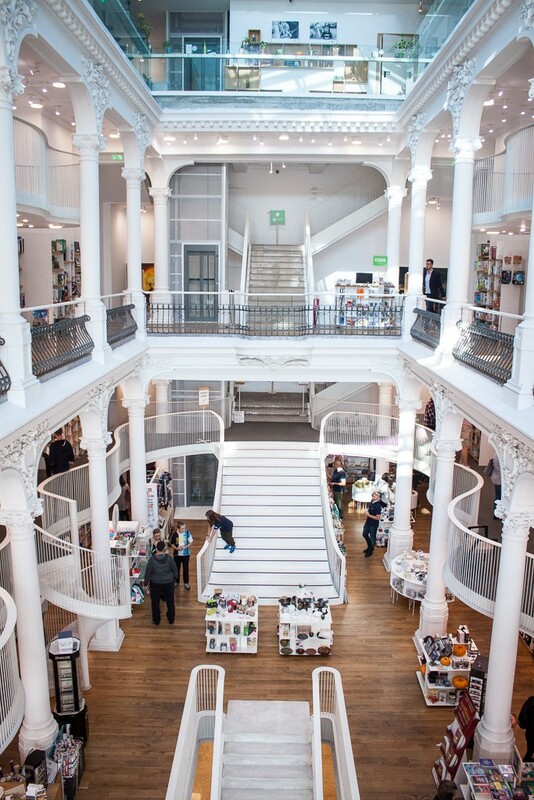 When I visited, I even saw a couple having their wedding shoot done on the staircase leading up to the first floor. 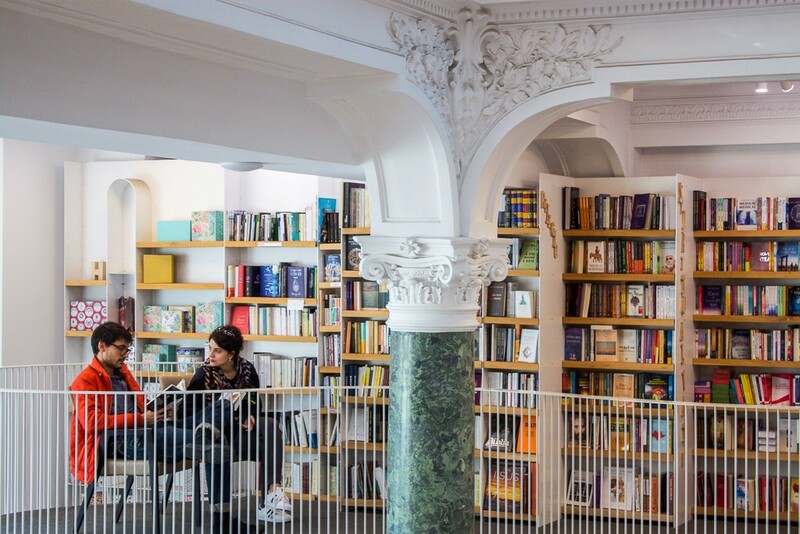 Bookstore aficionados will find it heart warming that people come to the location to read as well, either grabbing a book and taking up resident in one of the many nooks or heading to the top floor café and bistro. 1) Cărturești Carusel is open daily, Monday – Wednesday from 10:00 a.m. – 10:00 p.m. and Thursday – Sunday from 10:00 a.m. – 12:00 a.m.
2) To avoid the large crowds and the wannabe Instagram stars, show up early or late in the day or the middle of the week. 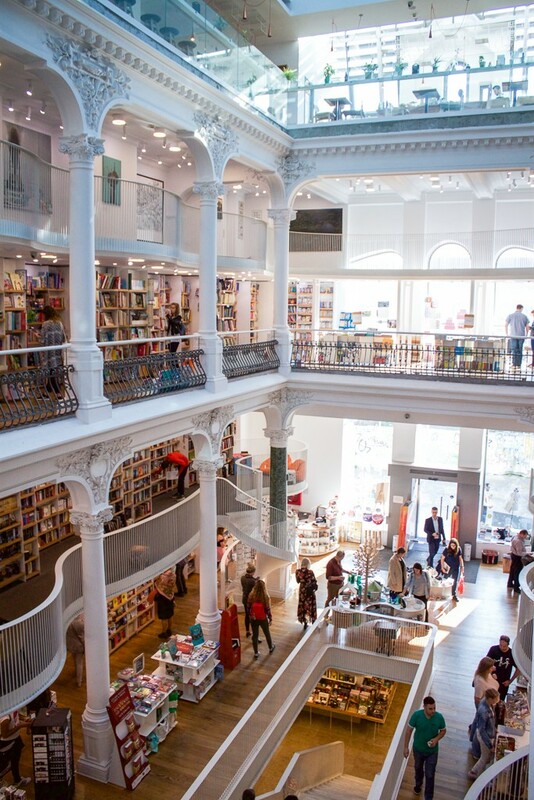 3) The bookstore’s located in the city center, in the Old Town. The closest metro stop’s Universitate (the exact address of the bookstore is listed below). 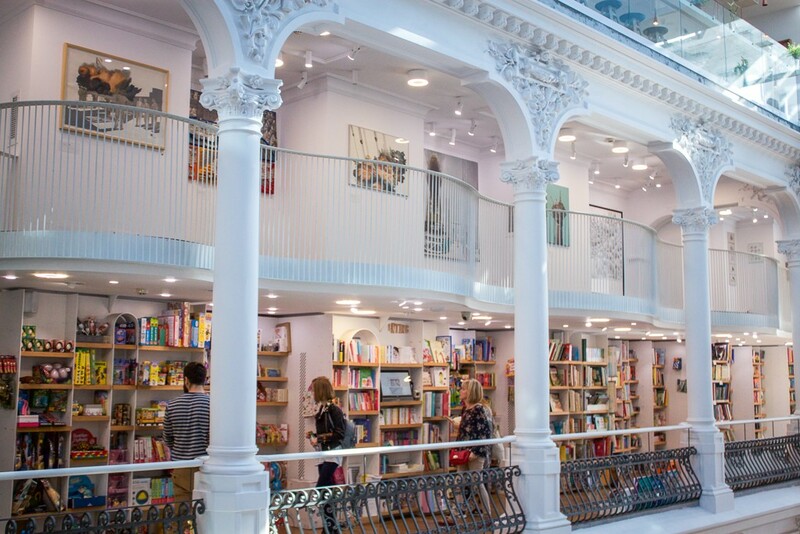 4) Most of the books are in Romanian, but there is also a small English language selection. 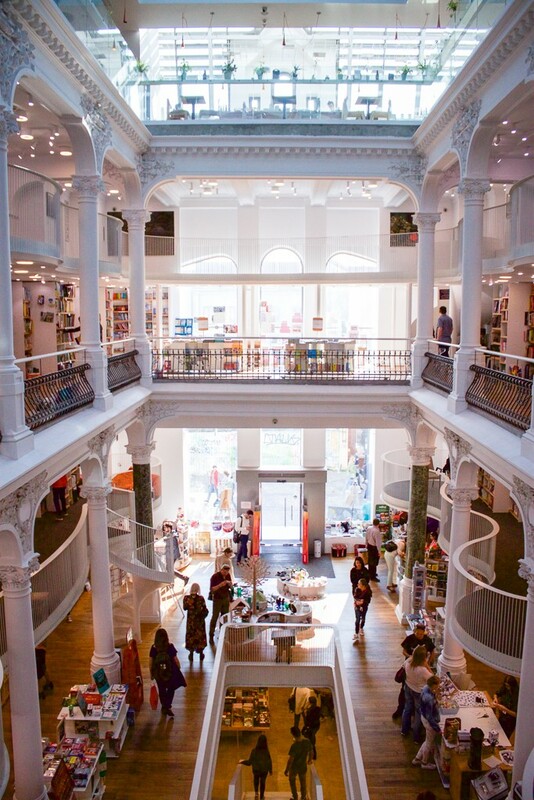 5) As with most bookstores, you can purchase novelty items like pens, Romanian themed souvenirs, notebooks, and more. I personally bought a magnet and an Alice in Wonderland Moleskine. For a good overview of souvenirs to purchase when in Romania read, 10 Romanian Souvenirs You Have to Make Room For in Your Suitcase. 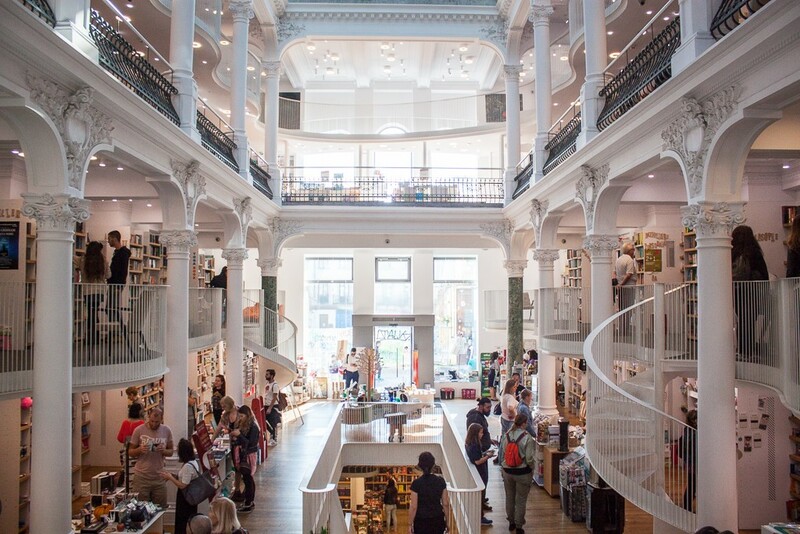 6) In case you don’t trust what I say (and I know you do), read even more about the history and design of the bookstore at ArchDaily, Phaidon, and Romania Insider. 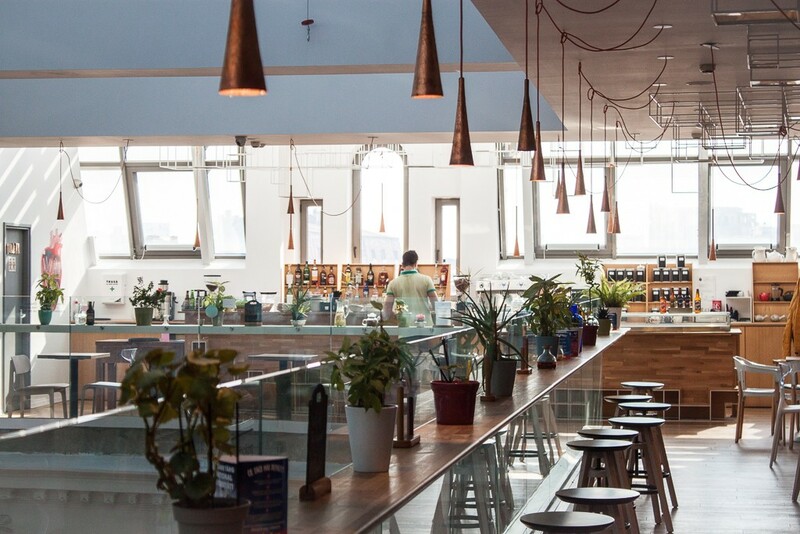 Need somewhere to stay when you’re visiting Bucharest? Check out hotel offerings on booking.com. 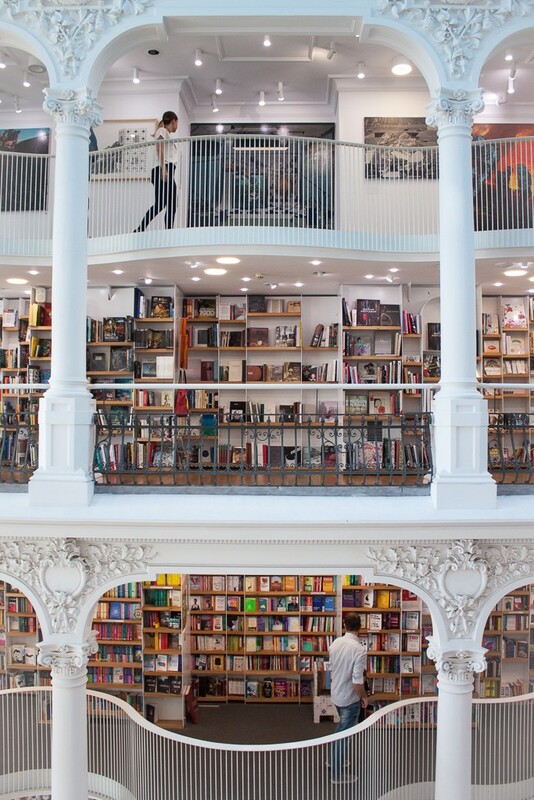 Oh wow, what an incredible bookstore! Your photos of it are gorgeous. I would love to go there someday!